The A. V. rendering of (shaḥaf) in Lev. xi. 16 and Deut. xiv. 15. In both places it occurs in the list of unclean birds. This identification, however, is only a conjecture, and there is no certain tradition to support it. 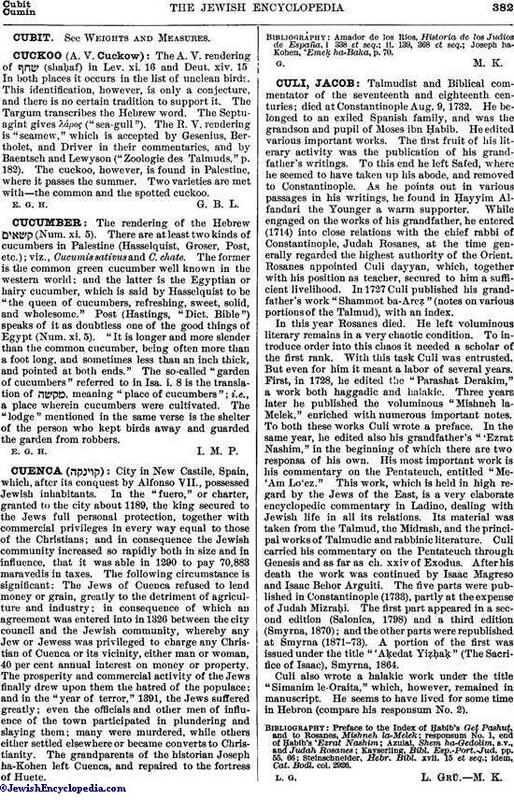 The Targum transcribes the Hebrew word. The Septuagint gives λάρος ("sea-gull"). The R. V. rendering is "seamew," which is accepted by Gesenius, Bertholet, and Driver in their commentaries, and by Baentsch and Lewyson ("Zoologie des Talmuds," p. 182). The cuckoo, however, is found in Palestine, where it passes the summer. Two varieties are met with—the common and the spotted cuckoo. E. G. H.G. B. L.